This document describes the fitting of EF/EL cup holders to an XH series Longreach. This entails modifying the cup holders, and fitting them to the rear of the XH centre console. Fig 1. Cutting notches in the pop up retainer. 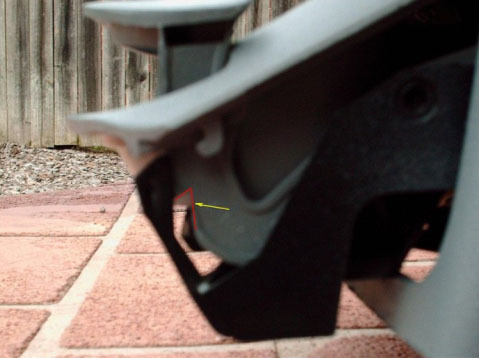 The notch position is marked with the retainer fully up. 2. Remove the rear airvent. 3. Fit the modified EF/EL cupholders in the existing rear hole. The top is fitted using a pair custom brackets which youâ€™ll need to make up. A pair of manual antenna brackets will do the job perfectly as well. The bottom of the cupholders have two locating posts that fit against the XH console air vent bottom, so the cupholders will sit perfectly, however, the lower console bottom only has a thin strip of plastic, so some metal strapping is fitted the strengthen the setup. Use a string spirit level on the cup holder base to ensure it is level. Refer Fig 2. for an underside view of this setup. Fig 2. Installation showing EF/EL antenna mounts used as upper brackets. Metal strap is used to strengthen the lower mounting. The red arrows indicate the lower locating posts location on the console inside. Q: Couldnâ€™t I just use an EF/EL centre console ? A: Nope, wonâ€™t fit or match the car. You could use an AU console. 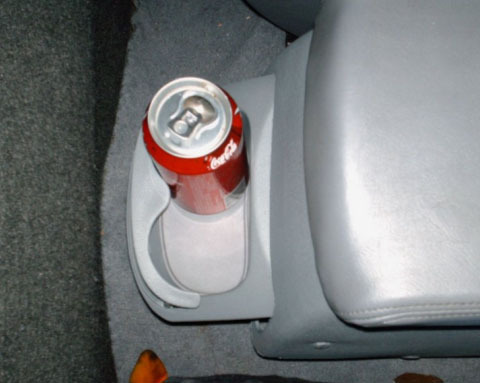 Q: Do I need to paint the cupholders before fitting them ? A: Thatâ€™s really up to personal preference â€“ the EF/EL cupholders are a â€˜Lunar mistâ€™ colour, which is lighter than the XH console â€˜Mako greyâ€™. 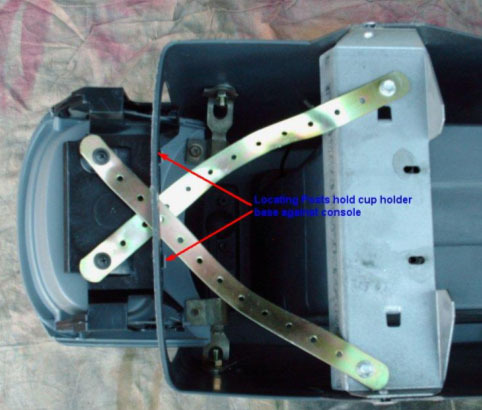 Seeing the holders are to the console rear, they arenâ€™t easily visible.